Buy Need for Speed Underground for PC in India at the best price. Screenshots, videos, reviews available. Hit the streets in the world's most elite tuner cars, and take down the ultimate racers in your own customized machine. To own the streets, you'll have to risk it all in a variety of high-styling, high-speed events - including Drift, Drag, and Circuit. Tune your car to perfection by winning hundreds of upgrade parts, then go underground for the most intense, addictive driving experience of your life. When it comes to speed, no other game comes close to delivering this kind of action. And while the need for speed is what keeps you coming back for more, custom looks are your ticket to scoring big with the crowds. You are what you drive in Need for Speed Underground. Build your ideal car, take it online, and take on the world's fastest competition. 2 GB + space needed for save games and Windows swap file. This is the first NFS game to feature tuning and it was a revolution when it first came out. You could unlock and add upgrades to your vehicle. The upgrades included performance parts like more powerful engine, transmission, nitrous etc and visual upgrades like hood, spoilers, and various paints. There are more than 100(112 if I remember correctly) events in the game with increasing difficulty. There are a number of new event types like drift and drag along with the usual races. There is a simple storyline in the game which keeps you going for the top spot. And by the way, all of this happens in night time which is a first in the series too. The graphics in this game was top notch at the time of its release, but even an onboard graphics could run it these days. The track looks great at night with all the reflection on the roads. The cars all look nice even though the car list is small compared to the ones in recent games. The sounds of engines and crashes are great and the controls are simple. All in all a great addition and a new beginning to the series. Try it. 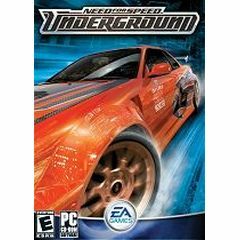 Need for Speed Underground was the first Need for Speed to be setup entirely at night and the first one with no cops at all. This was also the first one to have some sort of storyline in career mode which continues into NFS Underground 2. Its has over 100 races in career mode and is quite challenging. The graphics was top of the line in its days and the car handling is superb. The ferraris go missing for the first time in a NFS game but the other cars more than compensate for it. In all its a lovely NFS game.